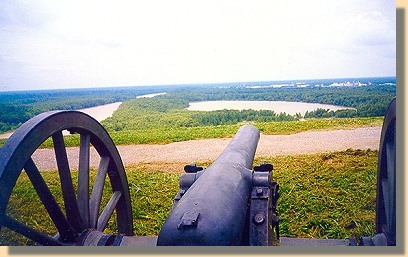 Campaign , Siege, and Defense of Vicksburg, 1863. Operations of the River Batteries, March 29-July 4. The River Batteries, under the command of Colonel Edward Higgins, C.S. Artillery, were served by six companies of Tennessee Heavy Artillery on the right, four companies of the 8th Louisiana Heavy Artillery Battalion in the center, and eight companies of the 1st Louisiana Heavy Artillery on the left. 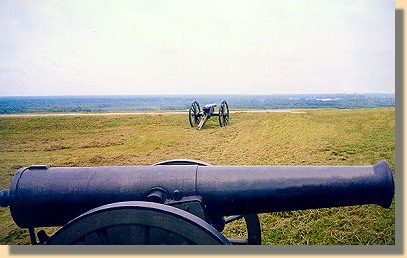 Two companies of the 22nd Louisiana were attached to the left and the Vaiden (Mississippi) Battery to the center of the command. The night of April 16, when eight gunboats and three transports passed, and one transport was sunk without reported casualties. The night of April 22, when six transports passed. One transport was sunk with the casualties: killed 1, wounded 2, total 3. The night of May 3, when a tug and two loaded barges attempted to pass but were sunk without reported casualties. At the beginning of the investment, May 18, about 38 heavy guns were in position on the river line and 13 light pieces posted on the city front. Eleven light and six heavy guns were successively moved to the line of defense with the detachments serving them but one of the heavy guns was moved back to the river line. During the investment, May 18 - July 4, the river batteries were opposed to the gunboats below the city, the mortars behind the peninsula, and the guns on the peninsula and on scows, and were engaged May 19, May 20, May 21, May 22, and May 27, with the gunboats below the city. On the last named day the gunboat "Cincinnati" attacked the upper batteries and was disabled and sunk on the Mississippi side of the great bend in the river above the city after an action of 30 minutes. Reported casualties in command during the investment: killed and wounded about 30.